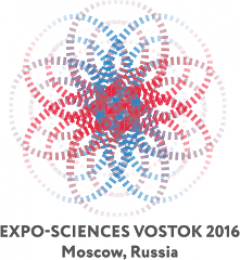 The International Foundation of Technology and Investment (IFTI) and the All-Russian Movement of Creative Teachers Researcher, in cooperation with Moscow State University of Education, are organizing the Ist Exhibition of Youth S&T Artworks, EXPO-SCIENSES MILSET-Vostok 2016, to be held in Moscow on November 15-19, 2016. More than 100 young participants from 20 countries are expected to present their works at the Exhibition. Special emphasis shall be made to the cooperation in youth’s S&T education with the CIS (Commonwealth of Independent States) countries. A special workshop, The Actual Problems of Development of Innovative Educational Technologies and Integration Processes in the CIS, to be held within the Exhibition on November 18th, shall be dedicated to this topic. More detailed iformation about the Event and about the MILSET International Youth Movement for Leisure Activities in Science and Technology shall be available on the Event’s page.